.© Copyright 2013 Xado Philippines	All rights reserved. The main, leading brand of XADO Chemical Group. Registered in 1991. The first products with the XADO trademark appeared in automotive shops in 1999. If you see the XADO logo on the package, it means this is an innovative product containing revitalizant. It is the main feature and distinctive sign of the XADO trademark. 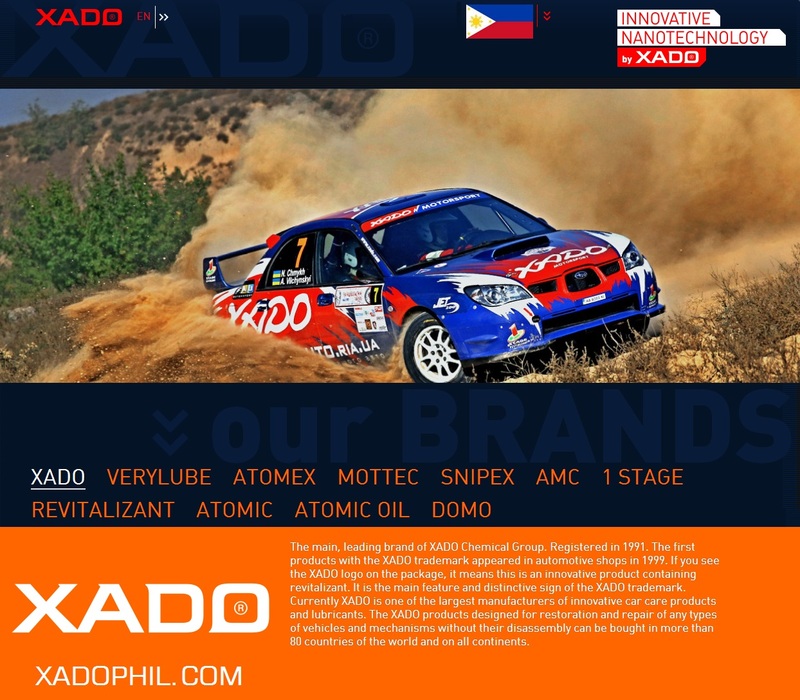 Currently XADO is one of the largest manufacturers of innovative car care products and lubricants. The XADO products designed for restoration and repair of any types of vehicles and mechanisms without their disassembly can be bought in more than 80 countries of the world and on all continents.